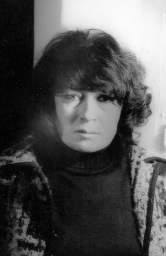 Nivaria Tejera was born in Cienfuegos, Cuba, in 1929. She grew up partly in the Canary Islands, where her father was from, who was then incarcerated there until 1944, when her family returned to Cuba. In 1954, during the Batista dictatorship, she left Cuba for Paris. There, in 1958, Maurice Nadeau published her first novel, El barranco, in the collection Les Lettres Nouvelles. In 1959, she returned to Cuba to work for the Cuban Revolution, which appointed her to be a cultural attaché in Paris and then in Rome. In 1965, she left her post and returned to Paris. Since then, aside from several books of poetry, she has published three more novels: Sonámbulo del sol (1971; Sleepwalker in the Sun), Huir de la espiral (1987; Fleeing the Spiral), and Espero la noche para soñarte, Revolución (1997; I Wait for the Night to Dream of You, Revolution), these last two appearing in French translation long before the Spanish originals were published (the first Spanish publication for both books was not until 2010). In 2008, The Ravine became the first of her books to appear in English, in Carol Maier’s nuanced translation of El barranco; that same year, María Hernández-Ojeda organized a three-day conference on Tejera’s work at Hunter College in New York (the essays later published in the book Canarias, Cuba y Francia: Los exilios literarios de Nivaria Tejera). Her final novel was published in French translation as Trouver un autre nom à l'amour (2015; Finding Another Name for Love). Nivaria died in Paris early in 2016. This interview took place at her home in the lower 14th arrondissement of Paris in July 1997. It must have been difficult writing your last book, Espero la noche para soñarte, Revolución. Yes, due to the seed that engendered it, the Cuban regime. In exile it’s hard to remember, before the difficulty of living, of writing: that permanent coexistence with distance, between absence and presence. One is here but also there. Above all, memory is a sort of executioner that prevents a person from living in peace. It was in 1965 when you returned to Paris. Yes, it was then that I broke my commitment to the Cuban regime. Didn’t that break later cause you problems when you won the Biblioteca Breve prize in 1971, from Seix-Barral in Spain, for Sonámbulo del sol? The prize was a scandal, and surely what contributed to it—besides the fact that I was a Cuban exile—was that Seix and Barral were in the midst of separating. Barral wanted the book for his press and not getting it (since it was kept by Seix), he published a letter declaring that the book was not unpublished because it had already come out in French, published by Maurice Nadeau at Les Lettres Nouvelles in 1970. And despite the courage of Juan Ferraté, who defended the book and the prize coming from Seix, this was classified as a “scandal at the Biblioteca Breve,” which provoked a flood of criticisms, both pro and con, that distorted the course of a prize that could have been a kind of salvation for my exile. And did that affect your life here in Paris? I don’t know. A writer’s fate is mysterious. It’s like the play of a snake. You never know the effects of one thing on the other. In any case, the fact that I had abandoned Cuba in that period affected me in some way. It was a moment when almost all the intellectuals still believed in the Cuban Revolution. And one was not supposed to abandon that . . .
One was not supposed to abandon that. It was as if the monk were taking off his habit . . . Espero la noche para soñarte, Revolución thoroughly exposes all that trickiness (literarily, poetically, if you like, but without concessions). Moreover, it’s a dense message from the writer about the anguish of exile in such circumstances. You settled here in 1965, but you already knew Paris very well. I had come to Paris for the first time in 1954 fleeing the Batista dictatorship, which resulted in the French publication of El barranco in 1958. Many reviews of the book appeared in the most important journals, and my poems were published in Les Lettres Nouvelles, Les Lettres Françaises, etc. I also had shows of my drawings . . . So, I was returning to places I knew, and where I counted on the friendship of my translator, Claude Couffon, my editor, Maurice Nadeau, and other writers. But I was abandoning a position in the revolution, and that boldness—something I was unaware of at the time—would turn out negative for me. I became quite conscious of that later, as there was a slow and painful change in my relationship with a number of people, and what I took as a privilege was little by little turning into a dark editorial reference, given that many members of publishers’ reading committees were and continue to be foreign engagé Castro supporters. Aside from Sonámbulo del sol, you didn’t publish much in that period. That’s true, the complicated history of the Biblioteca Breve scandal rather placated my creative impulse. At any rate, I am not a writer of many books, a bit like [Juan] Rulfo. I’m more interested in a concentration of thought directed toward literary experimentation. Instead of publishing a book every year—as so many do—I have sought rather to slowly elaborate a style in the manner of Beckett, or Sarraute . . . It’s like challenging time itself, which will tell in due course how much I’ve succeeded. It has to do with a certain poetic density . . . Your work is marked by a fragmentary writing that floats and plays with a certain resonance between its paragraphs. Yes, that keeps turning in order to continuously center the poetic vertigo. In Espero la noche para soñarte, Revolución I explain that work of writing and its obstacles. The message of the title implies as well that innovative struggle in literary construction, that inner force of the search in spite of (and against) the repressive regime which, by restricting us, tries to stifle it. It’s like a rotating germination between writing and the asphyxia of exile imposed by the shipwreck of the revolution, since its process drifts inevitably into dictatorship. I wanted to ask about your life before coming to Paris for the first time. You were born in Cienfuegos and spent your early years in the Canary Islands. Where did that sensibility for literature come from, and the desire to write? I think it was set in motion by the tortuous childhood I was condemned to by the coincidence of my father’s journey back to the Canary Islands at the time of the Spanish Civil War, a disaster which kept us on the islands against our will, in effect. On one side, the fact that my father, a journalist, was always surrounded by writers and, on the other, the prison that the war inflicted on him surely marked my sensibility. Although the matter did not end there, since on our return to Cuba other oppressive political situations were falling into place that ended up shaping me. As you see, I was always fragmented by historical and social situations . . . Until in 1954, in the middle of Batista’s dictatorship, I decided to escape far away, to France. I often heard my father speak of Paris as if it were the cultural center of the world, and eager as I was for experiences, adventure, the unknown . . . so I launched forth to defy this fascinating city. As a pioneer, as some say, since others soon followed. So that myth, that tradition, counted for you. Absolutely. Everything seemed to come to us from Paris. The translations of Lautréamont, of Rilke, of the surrealists constituted a magnet toward Paris. Did you yourself have any relation to French culture? Through Lezama Lima’s Orígenes, that journal which filled us with admiration, and thanks to which we got to know almost everything. First Orígenes and then Ciclón opened the island’s narrow literary horizon, at a time when the Batista dictatorship established the law of cutting down all the trees on the avenues where we used to walk, terrified. What was your arrival in Paris like in 1954, your introduction into that other world? At the start, wasn’t your perspective that of a poet? Yes. Scrutinizing things at a turtle’s pace, I realized that in France poetry governs writing, that poetry can be integrated into prose, that it can help prose advance, something which Baudelaire as well proclaimed. These discoveries surprised me and freed me of arid concepts. This, of course, without losing sight of the fact that you were a Cuban writer. Without a doubt, since that’s what I am, and any search for a style, as difficult as that may be, does not belie one’s origins. I consider it pretentious aspiring to be a French writer. Beckett is Irish even in his deepest semantic recesses, to the point of creating another way of writing French. One brings forth what is one’s own from each country, wherever that may lead, one rough path after another . . . Even El Barranco, about your childhood while your father was in Franco’s prison, was fairly experimental in its form. After its French publication in 1958, when was it first published in Spanish? It was one of the first books published in Cuba after the then-revolutionary government came in. How did your next book, Sonámbulo del sol, come about? Quitting my post as cultural attaché in Rome in 1965 and returning to Paris, it was very hard for me to get back to writing, to adapt to the new situation: I was blocked, emptied out, at an impasse in life and therefore creation, still thinking that Paris was the place where I could feel free and devote myself, outside of any political context, to writing. I had suffered so much psychological pressure from one dictatorship to another (from Franco to Batista, from him to Castro) that I needed to shake off memory’s bonds, sickly vestiges, to branch off into a real plan that would be revitalizing. A time seemed to begin now—with that desire and that return to Paris—that was waiting to be defined, a time not to waste, for recuperating stagnant sensations, half-extinguished hopes. There was, however, a mysterious accident: on a trip to the south, in Cannes, the last stop on my journey, where some friends had left me their house in the mountains for me to recuperate in, someone broke into the car specifically to rob my Cuban passport and my manuscripts, which were quite far along, and were never returned to me. . . . So, I had to rewrite all those pages that had cost me blood. This unforeseen disaster pushed back the completion of Sonámbulo del sol, a “cursed” book that once published abolished a part of the tortuous past. The trace of Castroism still remained to be abolished, which was started by Fuir la spirale and ends now with J’attends la nuit pour te rêver, Révolution, both of those texts having been strangely “rejected” by many publishing houses in my own language. In those books, literature, poetry, personal life, everything that politics kept diverting into its sinister alleyways, become articulated in the gestation of a fragmentary style that sums up a totality: creation in its pure state, driven by a poetry that goes ever deeper and which led me to experiment unimpeded. Although the subject serves as support, what obsesses me is to keep the writing at a level of intensity that it is like a taut string. Do you cut out much? I cut a lot, yes, although breaking what I have worked out with such difficulty is very hard. I rewrite over and over until the sentence is as clear as can be. Just by itself, thought is always complicated and it takes work ridding thought of its heaviness, but I strive to plow through it with the utmost transparency. How was your novel Huir de la espiral received, which also came out first in French? It’s a difficult book, without punctuation, that tries to embody in multiple silences an exile’s breathing. Which made it unintelligible. Of course, it hasn’t come out in Spanish, for reasons I mentioned earlier . . . I think that impediment arises from a repressive clan that decides, according to the political winds, this book yes and this no . . . At any rate, I have a rather strange literary destiny. Does the same perspective seem likely with the new book? I don’t know, since it’s just come out in France, I keep hoping . . . Around me there has formed what they call here une conspiration du silence . . . That writer is always saying odd, difficult things; what’s more, she distorts the Castro regime . . . My insistence on a writing—as they said not long ago in the Quinzaine Littéraire, about Mayakovsky—“not of quality, but of another quality,” attracts an unhealthy estrangement. That may be due as well to my unambivalent attitude toward the Cuban regime. I’ll give you an example: three years ago, I went to a colloquium in Madrid, “The Whole Island,” a cultural gathering of writers inside and outside the country, taking the journal Orígenes as the central theme. There all the participants sang the praises of Lezama, the work of the journal, the group; that was how the first day went and the second and the third and the fourth. That cruise ship seemed to sail through such serene, suspicious waters: as in, I touched Lezama’s shoulder, Lezama was with me in this or that . . . Everything seemed preconceived, with no hindrances or shadows, idyllic . . . And the Castro dictatorship, what of it? They seemed unaware of the regime that keeps us writers separated, as if it were irremediable, like a mythological destiny where fatality and infallibility condemn certain people to an implacable non retour. And everyone so resigned to the suffering of Lezama himself and of Piñera, of whom Rodríguez Santana read—and with his permission I then read again—some frightening poems that shouted loud and clear about the organized oppression that removed them from favor and from life. So that, when it was my turn, I started to say things—simply telling about the condition of statelessness to which they banished us, me and other writers—and as if by some magic power a silence arose in the hall, a change of posture in the seats, a tension . . . It seemed the hall was going to explode! In effect, at the end of my reading, that audience began to applaud without letup, to such a point that I had to stop them with a gesture, thereby signifying that I needed for them to be done with that sugary prefabricated rapture, to unmask it. Nonetheless, I alluded only to my own case as a writer, I never forget that that is all I am. Political tracts don’t interest me. So, I finished my eight pages, reading two from my book that were especially sharp-edged. Naturally, that night there was no debate, which got twisted into an ovation for Gastón Baquero, in which I participated with pleasure. Later, at the cocktail, people came up to embrace me (I had dared to break the barrier), including writers from inside the island, under the watchful gaze of members of State Security and the Embassy, of course . . .
Do you see any change over these thirty years in the Latin American community in Paris? Yes, many friends have returned to Latin America. Those were other times, we had our feasts, our parties. I too have withdrawn a bit from that strange molecule we form. Now I find those meetings tiresome, that folklore of identification by way of little speeches that are pro-this and pro-the other in order to convince ourselves that we’re still Latin Americans, that this makes us strong, although we may be far away from there. All that leaves me a bit indifferent now, considering how much time is wasted sounding off about nationalism, revolution, and all those utopian things. The work requires seclusion, and so, from one’s inner self, reinventing life each day without false subterfuges . . .
Are you waiting for the message of Espero la noche para soñarte, Revolución to accomplish its mission?